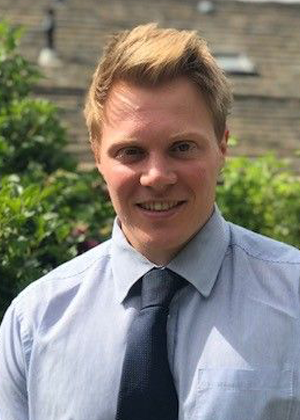 Robert joined Walker Foster in April 2018 as a Solicitor in the Private Client department and is based at our Ilkley office. Robert specialises in Wills, probate and Powers of Attorney although in addition, he has developed an extensive knowledge of dealing with NHS continuing healthcare funding for care fees, both for people currently in the care system and on a retrospective basis for deceased persons. The NHS are responsible for care fees where a person has a primary health need, i.e. where their care needs are primarily of a nursing nature. Claims for retrospective NHS funding can be made back to April 2012. Robert’s intention is to assist clients in current and retrospective claims and any appeals on a conditional no win no fee basis with an initial consultation. Robert’s area of expertise also extends to advising clients on planning for care, council funding and benefits in care. In addition to building up his own varied case load, he is busy building up local business connections in the Aire Valley region and generally getting to know the local residential community. Robert is always keen to play a part in local charitable work and as part of this Robert has taken an active role in charity work such as assisting Citizens Advice with their drop-in sessions and participating in Will Aid, which aims to offer a number of free Wills each year with the proceeds being donated to various charities. Robert will be playing a major part in the firm’s 100 free Wills offer during August 2018, in celebration of the Royal British Legion’s 100-year Poppy Appeal. Helping clients to plan for the future and in particular, assisting those who are facing a difficult time in their lives, such as bereavement. Building long term relationships with clients and their families and being able to support them in dealing with a range of issues over time, is also important to Robert.